British investigators said Friday they were probing the licence held by the pilot of the small plane carrying Premier League player Emiliano Sala that went missing over the Channel this week. The light aircraft transporting the 28-year-old striker, who signed for Cardiff City last weekend, disappeared from radar around 20 kilometres (12 miles) north of Guernsey on Monday night. The local coastguard on Wednesday named the pilot, the only other person in the plane, as David Ibbotson — a 60-year-old married father of three from northern England, according to reports. A spokesman for Britain’s Air Accidents Investigation Branch (AAIB) told AFP his licence would be reviewed as part of its probe into the plane’s disappearance. “We would look at operational aspects of the flight and that would include licensing,” he said. “Our purpose is not to apportion blame or liability. Our purpose is to establish the cause of an accident,” the spokesman added. Ibbotson reportedly told a friend via social media shortly before take-off that he was “a bit rusty” with some of the controls on the plane. Sala, who signed on Saturday from French club Nantes for a reported fee of 17 million euros ($19.3 million), was flying to Cardiff in a single-engine Piper PA-46 Malibu aircraft registered in the United States. According to a US Federal Aviation Administration database, Ibbotson held a British private pilot licence which provided the basis for a similar certificate issued there in 2014 permitting him to fly single-engine planes. Britain’s Civil Aviation Authority, which issues UK licences in accordance with European Union regulations, said Friday it could not “confirm the type of licence held by Ibbotson”. According to EU aviation rules posted online by the CAA, a private pilot licence is “for recreational flying only”. “You aren’t allowed to be paid for any flying you do using one, apart from some flight instructor work,” its guidance states, noting pilots receiving payment need a commercial license. 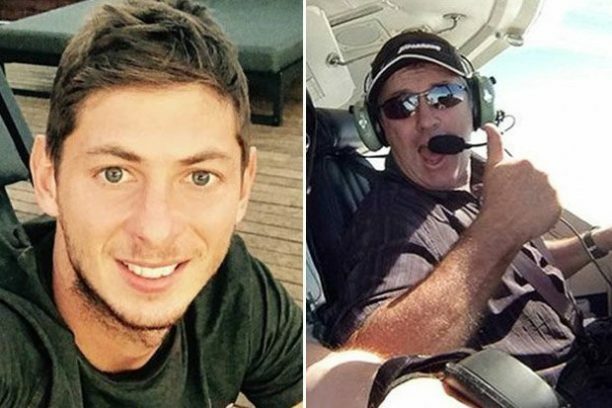 Rescue workers formally called off the search for the missing plane on Thursday, prompting Sala’s sister to make a desperate plea for its resumption. Romina Sala said that she feels her brother and Ibbotson are still alive.